It's that time of year again! 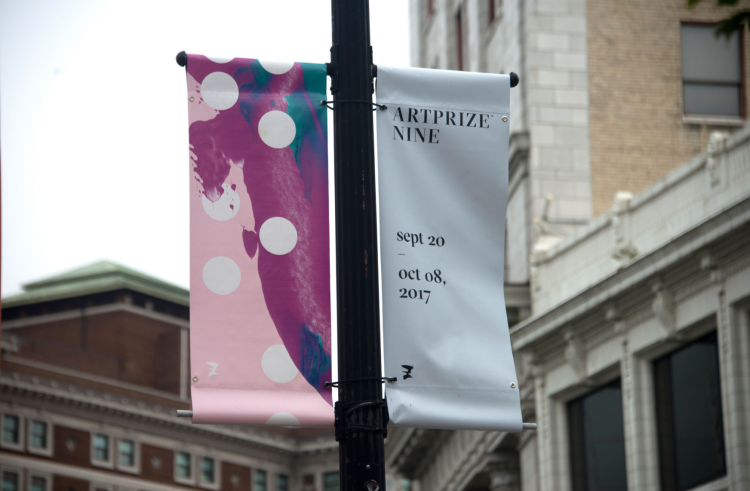 We're currently searching for our latest ArtPrize 10 team members - two Design Interns who will support our seasonal design team and the amazing team at Conduit Studio, creating the iconic ArtPrize visuals that blanket the city each fall, and marketing materials that will wind up in the hands of over 500,000 event-goers. Are you a graphic design student or a recent graduate? Are you passionate about compelling, thoughtful design completed on deadline? Do you feel most at home when immersed in Adobe Illustrator, Photoshop and InDesign? Hooray! We want to hear from you - please apply. And if not, will you share this job opportunity with your friends who are of the friendly, organized, design-loving variety? The ones who would thrive in a position like this? Primary Role: Working under the direction of the ArtPrize Project Coordinator, with creative guidance from the ArtPrize Design Lead and Conduit Studios, the ArtPrize Design Intern provides graphic and production design support and services to various members of the ArtPrize team. Print and digital design projects include signage, promotional materials, illustrations, invitations, sponsor recognition pieces, educational materials, and social media design elements. Create production-ready design assets using the established event brand guide and event sponsor brand standards. Work with creative direction from the ArtPrize Design Lead and Conduit Studios, and in service to the appropriate internal ArtPrize stakeholder. Work with the ArtPrize Project Coordinator to ensure dependable and on-time delivery of graphic design project files. Has a proven success in a deadline-driven environment. Has an existing design portfolio including samples of work with multi-page layouts and promotional materials. Has a strong, working knowledge of Adobe Creative Suite software, particularly Illustrator, Photoshop and InDesign. To Apply: Send your cover letter, resume and link to your online portfolio to jobs@artprize.org. All three pieces must be included for an applicant to be considered. See the full position description.